In the summer of 2017, Horacio Pagani unveiled a very special car both for him and for the brand at the Pebble Beach Concours d'elegance, since the HP Barchetta is the interpretation of the car as the man, and it marks the end of an era at Pagani; after nearly twenty years in production, the Zonda leaves with a really special swansong. Pebble Beach (Monterey, California, USA) is the automobile elegance concours par excelence, and if there is something that characterizes the HP Barchetta is its elegance and design. Horacio himself designed the lines that compose this barchetta as a celebration for his sixtieth birthday. 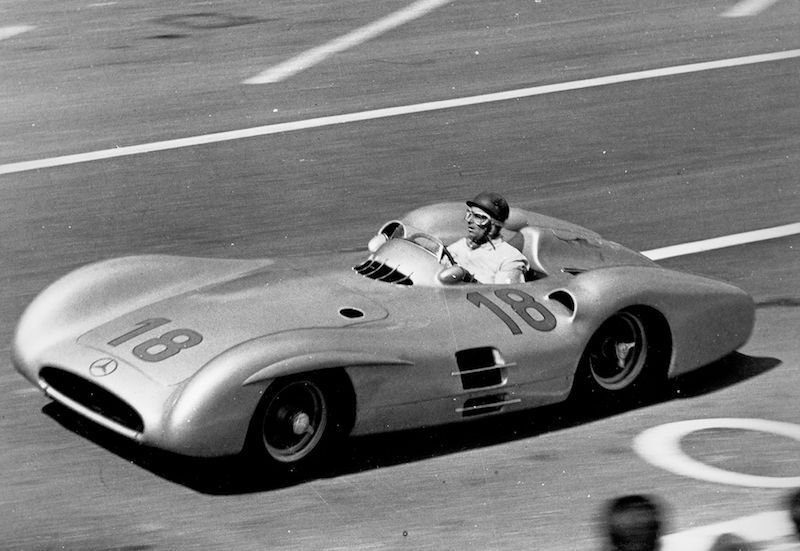 Starting off from the 760 Roadster platform, Horacio removed the upper half of the windshield, giving as a result a minimum A pillar as well as a tiny windows, which gives it that resemblance to the Formula 1 barchettas Juan Manuel Fangio piloted in the sixties, like the Mercedes-Benz W196. This particularity implies the HP Barchetta doesn't have any roof whatsoever, which accentuates even more the sense of occasion their lucky owners of the three units to be built will have on the rare occasions they drive them. Mechanically the last Zonda could be nothing but extraordinary, since it gathers all the improvements that have been made since the first Zonda, the first Zonda, the C12 came ahead of its time in 1999. This way the AMG naturally aspirated V12 stretches to an outrageous 800 hp (789 bhp), matching the R Evolution, which is a non road legal car shall we remember. This sort of power mated to a manual gearbox guarantees one of the purest and most savages driving experiences this side of a racetrack; and in order to accentuate it even further, a newly designed titanium exhaust was specifically developed for the HP Barchetta. The chassis is built using the same Carbotanium that was introduced in the Huayra Roadster, even lighter and stronger than the first version and that allows it to achieve a weight of just 1250 kg (2755 lb). The exterior is completed with the bonnet from the Zonda by Mileson, a semi-covered rear arches like the ones from the Zonda Zozo, which hide monoblock wheels of new design, which is a mixture between the Huayra Futura and the Roadster wheels; from the latter also come the tyres, a Pirelli P Zero Corsa HP, which Pirelli specifically developed for the San Cesario sul Panaro supercars as a tribute to its creator, Horacio Pagani. In the interior the main novelty are the sport seats, directly imported from the Huayra Roadster. Out of the three units projected, Horacio reserved the first one for himself, a gorgeous marine blue one with a cream leather interior in order to add it to his personal collection, whilst the remaining two will be privately auctioned among a select group of customers of the brand, whom must previously own at least two Paganis in order to participate.